When you want to have your draperies or curtains professionally dry cleaned and pressed, bring them to Village Laundromat & Dry Cleaners. When you get home and hang them, you will be happy with how nice they look. Professionally dry cleaning your window treatments is an inexpensive way of freshening your kitchen, dining room, bedroom or living room. So try us before you throw away those draperies or curtains. Your draperies or curtains will be pressed and ready for you to pick up and put back on the windows. Looking for more specialized cleaning services? 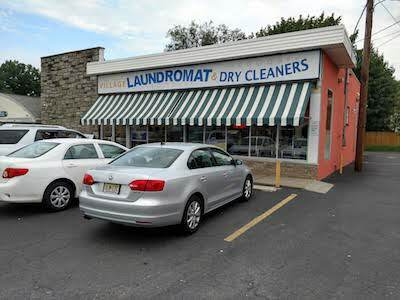 Village Laundromat also provides dry cleaning services for clothing as well as professional gown and dress cleaning.